Environmental health experts indicate families may have been breathing in mouse allergens, lead, fungal spores, insect parts, and diesel exhaust. Most families don’t think about what contaminants could be lurking in their indoor air, so environmental health experts put two average homes to the test as part of a new pilot study. 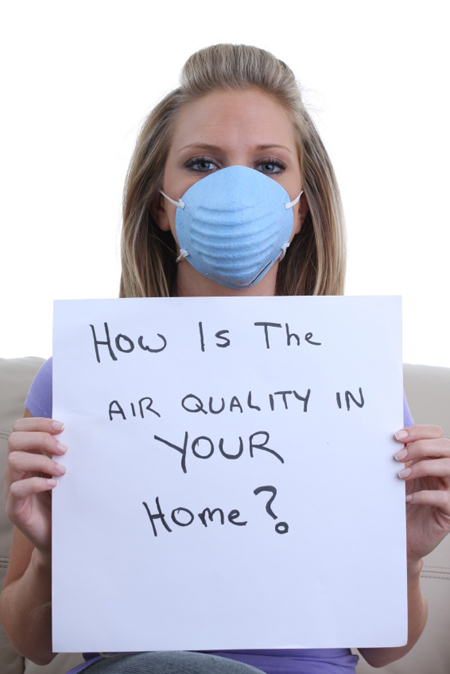 Two families – one in New York and one in suburban Los Angeles – were asked to run an air purifier in their homes for two consecutive months and then send the air filters to a team of microbiologists for initial testing. The families were alarmed by the preliminary results that indicated what was floating in their air – from insect parts to heavy metals such as lead. Interestingly, the New York home had higher levels of mouse allergens and black carbon from diesel engines, whereas pollen and skin cells were more abundant in the Los Angeles home. The pilot study, which was underwritten by Kaz USA, Inc. and executed by Environmental Health & Engineering, used the Honeywell AirGenius Air Cleaner to capture airborne particles. New York home had higher levels of mouse allergens and black carbon from diesel engines whereas pollen and skin cells were more abundant in the Los Angeles home. Black carbon – emission sources include diesel engines, vehicles, and residential heating. Heavy metals – trace metals include aluminum, chromium, nickel, tin and lead, a known neurotoxin. Sources often include paints and coatings, printer laser ink jets, nail polish, motor oil, home cleaning detergents, fossil fuels or exhaust. Mouse and dog allergens – particles include dander from rodents and family pets. Dust contaminants – particles include hair follicles and epithelial (skin) cells from humans and insect parts. Fungal spores – Examples of fungal spores typically found indoors include Cladosporium, Aspergillus, Penicillium, Ulocladium and Alternaria. Pollen – particles that typically make their way inside through open windows or on clothes and shoes. For a full list of pollutants discovered as part of the initial results, and to review the full-text pilot study, visit: www.HoneywellCleanAir.com/TwoCities. 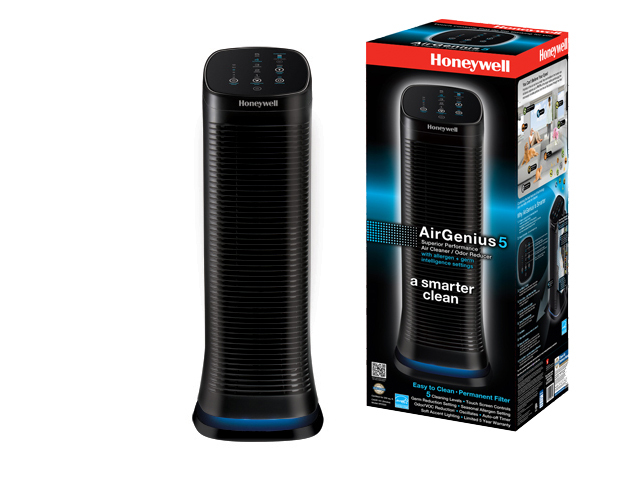 The Honeywell AirGenius Air Cleaner was placed in the main living area in each home and run constantly over the course of a two-month period (July – August 2012). The homes were located in Sherman Oaks, Calif., and the Upper East Side of Manhattan. Both homes met the same criteria of the number of people living in the home (four), family pets (one cat or dog) and home square footage. 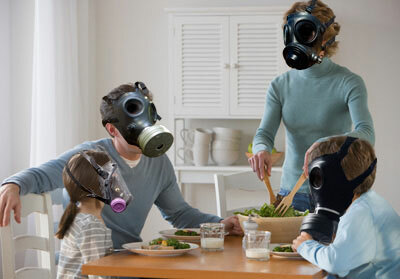 Each family classified itself as non-smoking, bi-weekly household cleaners and regular kitchen users. Both residences ran central air conditioning during the test period. EH&E (http://www.eheinc.com) has provided an extensive range of environmental and engineering consulting services for over 20 years. The EH&E team consists of more than 70 experts with an outstanding record of providing solutions for issues that affect the environment. EH&E has a depth of knowledge and credibility unmatched in the industry. A world leader in high quality healthcare and home environment products, Kaz is a state of the art, dynamically-managed, global leader in healthcare devices, home comfort and water filtration products that operates in over 65 countries on six continents with a brand portfolio that includes PUR, Vicks, Honeywell, Braun, SoftHeat, SmartTemp, and more. Kaz is a global marketer of humidifiers, air purifiers, heaters and fans under the Honeywell brand. The Honeywell trademark is used by Kaz USA, Inc. under license from Honeywell International Inc. Kaz USA, Inc is a wholly owned subsidiary of Helen of Troy Limited (NASDAQ: HELE). For more information about Helen of Troy Limited, please visit www.hotus.com. For information on other quality products for home health, home comfort, water filtration and insect control visit www.kaz.com. Next articleFitnessKettlebells: Are They The Right Choice For You?